Need some inspiration on what to get the mom in your life? 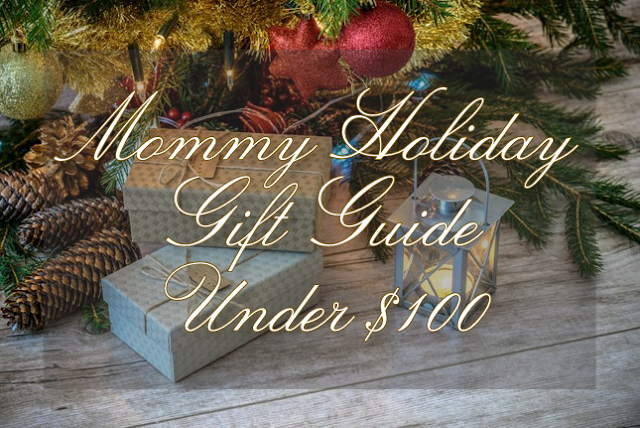 I have compiled a list of 10 perfect gift ideas for any of the special mommies on your holiday list. This "her" inspired gift guide has something every mom would love! As always product photos are linked to my Amazon to make this gift guide even easier. See something you like? Just click the photo link for full details. 1.) Steam Mop - I have become one of those boring cliche moms... Not even going to lie, I wouldn't hate unwrapping a new steam mop this year. Guilt free cleaning would make a great gift for almost every mom I know. When you have children constantly crawling around on the floors of your home it's difficult and dangerous to use traditional chemical based cleaners. Most all purpose cleaners don't even kill germs so fighting off bacteria and grime with the power of steam is perfect for those everyday messes and safe for baby. Pictured below I have linked three of the top contenders under $100. 2.) Spa Day - Try calling around to day spas and hair salons in town and see if they are offering any holiday bundles or promotions. Odds are they are. A day of pampering and relaxation is literally something moms day dream about, or at least I sure do. This is a tried and true home run gift idea that has stood the test of time. 3.) Date Night - Get a gift card to her favorite restaurant and tickets to a movie she has been eager to see. These are items that typically do not expire so you can purchase in advance if you are budgeting your holiday shopping. Call in a sitter or even better send the kids away for a sleep over! You can even get stay in movie night gift sets on Amazon like pictured below. When it comes to women it is almost always the thought that counts. Planning a special night out just for her is a thoughtful gift I'm sure she will need and appreciate. 4.) Wine Subscription - A wine subscription... do I even need to say more? This may be the greatest invention ever! If you have a wine loving momma in your life this is a perfect gift idea. Subscriptions are also gifts that keep on giving and a great way for her to try something new, maybe something she wouldn't have thought to try before. 5.) 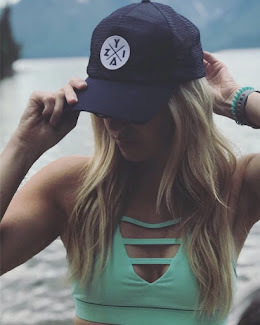 Something Thoughtful - Personalized and thoughtful gifts are always a winner no matter who you are shopping for, but for moms I think they are extra special. The shop Things Remembered is the perfect place to shop for one of a kind personalized gifts and keepsakes. Maybe a necklace with childrens initials monogramed, or a favorite family photo weaved into a cosy throw, or an engraved charm bracelet. This one of a kind shop has almost endless options for ways to make the most simplest things cherished. 6.) Subscription Box - Subscription boxes have exploded lately. They are a fun surprise and a creative way to try new things. With thousands of boxes to choose from there is something for everyone. Bath Bevy is a monthly subscription box filled with incredibly crafted bath and body products. Rocks Box is a monthly jewelry membership where you can submit an online style profile and a Rocks Box stylist chooses new pieces of designer jewelry for her each month. Purchase what you like and return the rest. Scent Bird is a low priced monthly subscription that delivers high quality designer perfumes. Scent Bird allows you to try those luxury brands and find the ones you love before committing to designer price tags. Websites like Cratejoy host hundreds of subscription box companies, categorized by genre, making it easy to find something she'll love. 7.) Gift Card Shopping Spree- I don't know a single lady that doesn't have a soft spot in her heart for Marshalls, Ross, TJ Maxx, Ulta, or Starbucks. Designer outlets have a wide variety from discount designer clothing, to footwear, to home decor. Can't go wrong with a one stop shop! Ulta is the ultimate in beauty retail. Makeup can get so pricey so an ulta gift card is perfect. They even have hair salons so if the woman you are shopping for doesn't do a her makeup often this may be a nice time for her to try new things or get a hair makeover. So if you are stuck on a gift to get the woman who has everything, give the gift of freedom with gift cards. Maybe wrap them up in a pair of slippers or fuzzy socks and include a cafe certificate. Coffee and shopping sounds like my perfect day. I am sure I am not alone in that. 8.) Cleaning Service - Hire a cleaning service for a day or ask if they have gift packages. Coming from a work from home mom having a cleaning service come in, especially after the holidays, would be such a relief. Moms sometimes need a break. We can't always do everything on our own and hiring a cleaning service for the day is something I'm sure any mom would be super appreciative of. 9.) Mani / Pedi Certificate - A mother's hands go through a lot on a daily basis. 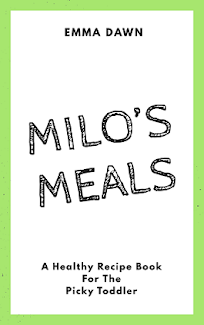 Diaper changes, constant hand washes, sanitizer, cooking, cleaning. Maybe show them a little love? She may not be the type to have wild flamboyant fake nails, but I don't know a woman who wouldn't love a day at the nail salon. Manicures and Pedicures are so relaxing and an important part of personal care and comfort. Around the holidays most salons will have bundles and different gift packages to choose from. 10.) Coffee Gift Set - I know I couldn't make it through motherhood without my morning jult. Long nights, teething, runny noses, nap time battles, play dates, doctors appointments... My son Milo turned 1 in September and I am still catching up on sleep from his newborn months. If the mom on your list is a fan of the java consider these coffee inspired gifts. Also, if she is the real deal when it comes to her love for the bean and a powney K Cup won't do check out this Nespresso Vertuo Plus Coffee and Espresso Maker by De'Longhi pictured below. Espresso without leaving the house and putting on pants...? sounds like a thumbs up to me! I hope these gift ideas helped ease the pressures of the holiday horrors when it comes to shopping for her. Leave your favorite in the comments below and if you use any of my gift giving tips let me know what she thought! I love hearing from my readers. As always don't forget to share and subscribe! Until next time thanks for reading!